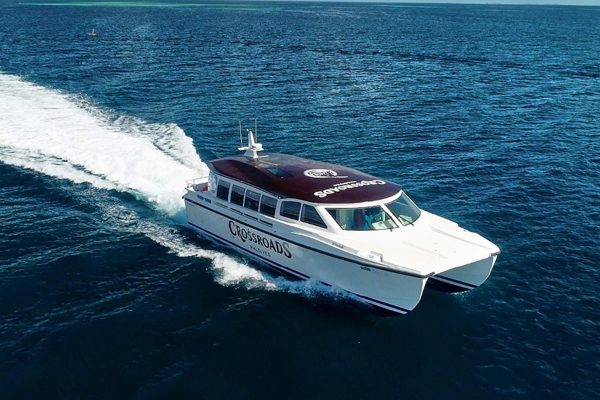 Abu Dhabi-based marine firm Jalboot Holdings has delivered a new generation of Maldives-centric ferries, designed to operate between the island's new mega-resort: Crossroads, Velana International Airport and the country’s capital Malé. In order to ensure sustainable and environmental-friendly operations, Jalboot complies with MARPOL standards to maintain a zero-waste policy and ensures that waste is kept onboard each vessel until it can be safely disposed. Jalboot also employs the latest, cutting-edge, low emission diesel engine technology.